' my first quilt square EVER! - Sisters, What! my first quilt square EVER! I told her I wanted to do the easiest square possible, and this was pretty easy. It is going to be turned into a couch pillow. I love how it turned out. 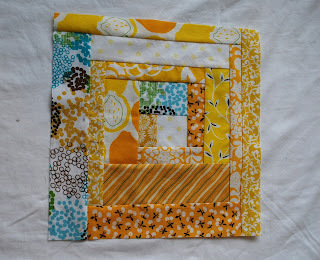 I've decided that it would be fun to make a quilt out of these type of squares in different colors...maybe one day. That is so cute! 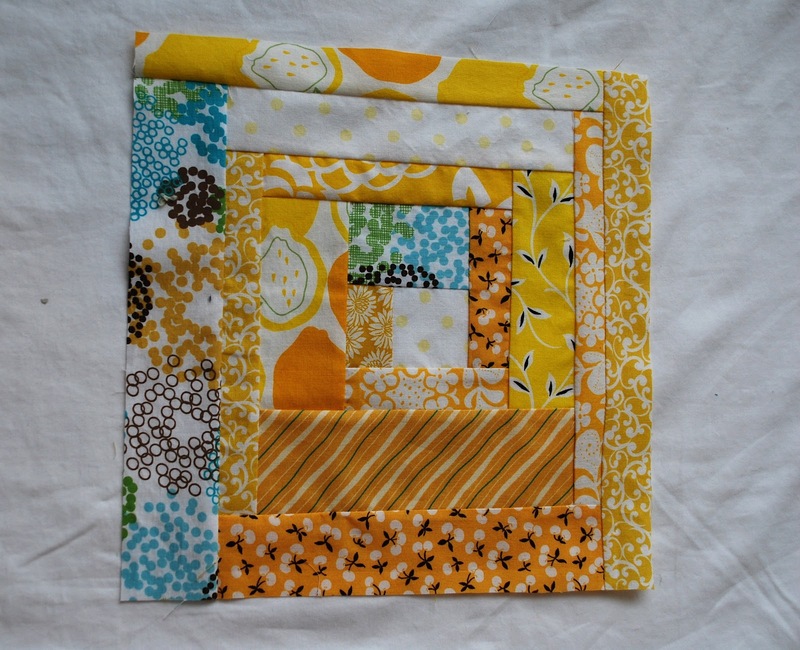 I have started a log cabin quilt of 1930's reproduction fabrics and it is bright and happy like this block! Glad you're learning quilting, I love to do it. Love, love, love. Can't wait for all the quilting projects yet to come!!! Woot, woot. Love the colors! Quilting is fun!